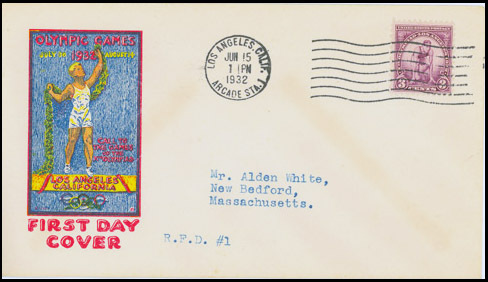 The American First Day Cover Society is a non-profit organization of first day cover collectors. Unfortunately, the AFDCS does not have the resources to perform appraisals or research. We are a collectors’ educational organization, not a dealer, so we do not buy covers and cannot estimate the market value of material. We do not publish pricelists or catalogs. To find information about or the value of your FDC collection or individual FDCs, you'll need to consult a local stamp dealer, one of the many advertisers in First Days magazine, or your local stamp club. Check your local telephone company's Yellow Pages (Stamps for Collectors) for listings or consult the APS dealer member database. Ask if the dealer is a member of the American First Day Cover Society (AFDCS), American Stamp Dealers Association (ASDA), or American Philatelic Society (APS). All of these organizations have a code of ethics that members must follow. There are a few references listed at the end of this message that may help you in your research. There are also many specialized catalogs available that may be useful depending on the composition of your collection. 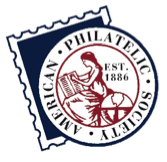 For a list of these publications, please consult the American Philatelic Research Library (www.stamplibrary.org). First day cover subscription services such as Reader's Digest, Postal Commemorative Society, and the gold replicas are very popular. Hence, there are many, many of these products already available on the market. Consult a stamp dealer about these products. It's difficult to give specific selling suggestions without knowing the circumstances of the individual, but let me add that, if at all possible, the material should be handed down to someone in the family who might take an interest in keeping the covers or taking up the hobby. If there is a need to sell the covers, there are two outlets: sell to a collector or sell to a dealer. Naturally, a collector will probably pay more for the items. A dealer will pay a little less because he has to make a reasonable profit reselling them. Consult a copy of First Days ($4.00 for a sample copy) where AFDCS dealer-members advertise and pick a dealer in your geographical area and let them make an offer. An alternative suggestion is to donate them to the AFDCS and take a tax deduction. The donations are tax deductible to the fullest extent the law allows. If this is your decision, please contact me so we can make arrangements to accept your donations. Now is the time I go back to my original suggestion: keep the covers in the family if at all possible. I hope this information has been helpful despite the fact that we haven't given you specific dollars and cents valuations or found a buyer for your material. Scott U.S. First Day Cover Catalogue & Checklist, latest edition, ed. Michael A. Mellone, FDC Publishing Co., Stewartsville NJ. This is an inexpensive catalog that is available online from Amazon.com and other book sellers. Your local book store should have it or be able to order it for you. Scott Specialized Catalogue of United States Stamps, latest ed., Scott Publishing Co., Sidney OH. Contains separate listing of First Day Covers, and some earliest known uses in the stamp listings. Mellone's Planty Photo Encyclopedia of Cacheted First Day Covers, multi-volume catalog of cachets, Michael A. Mellone, FDC Publishing Co., Stewartsville NJ. Handbook for Intermediate First Day Cover Collectors, compiled by Steven M. Ripley, American First Day Cover Society, Tucson AZ 1995. Brookman United States, United Nations and Canada Stamps and Postal Collectibles, latest edition; Brookman Coverspecialist, Bedford NH. Includes FDCs, souvenir cards, souvenir pages, patriotics, inauguration covers, commemorative panels, etc.